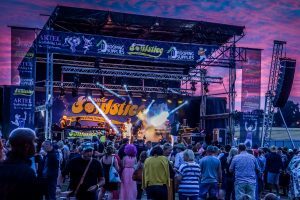 The Soulstice spirit raises £35K for Cherry Lodge! We had joy, we had unexpected pain… Then came an amazing outpouring of love, support & total community spirit from near & far! That pretty much sums up how it’s been over the past 6 weeks since this year’s Summer Soulstice. The event itself was another great fundraising success, however within 36 hours of it ending, some £45,000 from the day’s takings were stolen from the Old Elizabethans venue. This heartless act put both our funds to the charity & any future fundraising events by us at serious risk. However, the response that followed has completely blown away everyone involved with both our event & at Cherry Lodge. With our friends & followers almost demanding we set one up, we decided on a Crowd Funding page not long after the robbery to help us recover some of the stolen funds. After a lot of local media coverage including a report on ITV’s London Tonight & over 200,000 hits in a week to our Facebook posts, the response to our plea has been fantastic, with over 800 supporters donating nearly £27,500 to date! The success of the #SavingSoulstice fund has not only allowed us to continue & start to organise another event for 2019, but also means we can add a decent amount of funds to the many kind spin-off fundraisers that have been so quickly organised since the end of June. 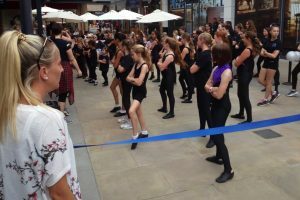 These have included a Danceathon organised by Highstone Dance Academy & local cafe shop Coffee Bean, which saw 64 young young dancers take up the challenge to dance for two & a half hours. 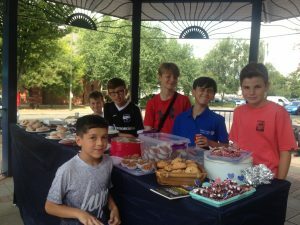 There was also a cake sale ‘baked up’ by Acculith 76 which included their children & friends helping out. Both were held on different days at The Spires Shopping Centre in July. Special mentions also go out to the students at local schools JCoss & Livingstone Primary who put on respective fundraisers. Also to Pina, Tricia & all at Elstree Film Studios, & everyone who’s set up Justgiving pages to bolster funds for Cherry Lodge: Michael Tomlinson, Ben Bukowsi, the Good Times FB crew, Chase Farm Day Nursery & local band The False Dots. The combined efforts of all the above means we will be able to hand over a large cheque for £35,000 at our Big Payback 2018 event at the end of August at The Black Horse, Barnet – click here for event details. The Soulstice Crew would also like to thank Ray from Less Tax 2 Pay who donated security cameras & the team at London Eye CCTV Ltd who installed them at the OE’s site for free, a couple of weeks ago. All of us at Soulstice HQ feel humbled, while at the same time, extremely blessed to be part of such an incredible community, both locally & within the Soul Family circles in the UK & beyond. Our Crowd Funding page is due to stay live until 1st September, as we aim to reach our £30k target. If you would still like to donate, no matter how much, then please click on the button below, to be taken to our Just Giving Page.